this journey is full, goddess, so click here to be first on the next one soon! And yet at the same time, our evolving role, definition, and relationship with the Divine Feminine as it pertains to the rest of the world & ourselves is itself changing . . . . and rising. 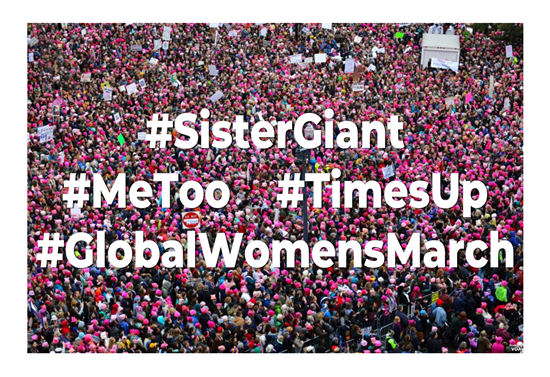 Look no further than to #SisterGiant, the #MeToo movement, #TimesUp and our second Global Women's March January 2018 to witness & be an integral participant in the incredible ripples of change, self+empowerment & accountability that are the direct, courageous results of women just like you claiming their authentic voices and claiming their authentic power . . . . Join us, it's time to harness your power of the sacred sisterhood NOW. Because you're here with us today, you are warmly invited . . . .
Because you're here with us now, we're inviting you to experience the only transformational learning program of its kind in the comfort of your own home gathering together with other women around the world! On this unique journey, you will be introduced to a highly integrative coaching model & process proven to facilitate healing, transformation, and manifestation on many levels. * This 9 month journey is required for those interested in the NaiAsa Institute Coach & Facilitator Certification program. Our promise is that you will discover your own unique & new realm of grace & beauty that transforms you and the world around you. Join our 9 month Global Women's Gathering & Coaching Journey. Reserve your spot below while space is still available. Soul Flow Luminary Guest Lectures with Q/A, and rare opportunity to connect with these Luminaries more personally, and in Sacred Sisterhood. Soul Flow Alchemy guide! Printable worksheets and new sections will be sent at the start of each new theme (see below). I, along with your Luminaries, will make available a limited number of exclusive private coaching packages for an additional fee for those women who desire to further support their evolution by adding weekly private coaching or healing sessions to support your journey. For more inspiration, information & pricing please go HERE. You'll be billed evenly over the 1st 3 months with your credit card on file. The 3 monthly payment option requires a credit card be on file as the monthly payments will be automatically billed each month. * NOTE: You can opt-out of the journey after you've attended live the 1st 9 sessions and have completed and emailed us all assignments up that point. Our heartfelt encouragement & invitation is for you to truly & fully commit to this gift of empowerment & support and in so doing discover how your own unique journey assists you in claiming your authentic power and voice. 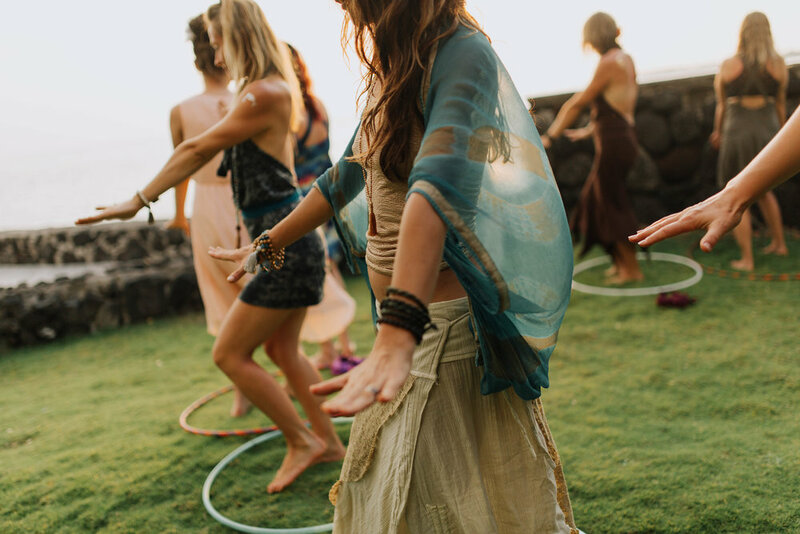 Join us in the sacred embodiment of feminine wisdom & fire. 10% of proceeds from your investment will go towards a local Hawaiian organization which help the 'aina (land) and the people (TBD). And with the impending eruption of Mt. Agung, we may choose to direct these funds to the people of Bali. Either way, we will let you know. Please keep in mind, the following timeline will ebb & flow according to the group’s personal & professional needs. While we will have the following as a guide, with worksheets for every theme, this is ultimately your journey and your dance. Our commitment is to honor your own innate wisdom within, & to support you in strengthening & building trust in your relationship with your inner voice & guidance. Right here, right now, you have everything you need to succeed, heal, & thrive on a path toward wholeness of mind, body, emotions and spirit. We will be here to remind you of what you already know. We will offer you useful, valuable structures, tools, ideas, resources, and insights. We will partner in achieving your highest outcomes & goals that are beautifully aligned with what matters most in your life. This program is your portal to restoring harmony in the world by first restoring harmony within yourself. You will learn & embody an alchemical process based on 5 principles associated with the 5 Elements, Koshas & with elegantly gentle yet profoundly powerful somatic integration. Each gathering will be 90 minutes. Week 2 - SEMINAR #1. Vijnanamaya Kosha. Explore Possibilities. Discern what Matters Most. When the WHY is big enough the HOW is easy. WEEKS 8 - 13: EARTH & PHYSICAL BODY - YOUR SACRED FEMININE ESSENCE & PURPOSE EMBODIED. BODY AS TEMPLE. NEURO 101 FOR WOMENS HEALTH. Week 8 - SEMINAR #2. Annamaya Kosha. Malama ‘Aina! Root Down to Rise Up. Week 14 - SEMINAR #3. Pranayama Kosha. The Breath & The Heart. WEEKS 20 - 25-: FIRE & EXPRESSION BODY - RECLAIM YOUR RADIANCE. SHINE YOUR LIGHT. DANCE YOUR NEW STORY. Week 20 - SEMINAR #4. Manomaya Kosha. Transforming Fears into Fuel & Igniting Dreams into Reality. Neuroscience of Transformation. Week 21 - Group Coaching, Mastermind, & Integration Call #7. WEEKS 26 - 31: SPIRIT & BLISS BODY - SYNTHESIS OF & SURRENDER TO YOUR DIVINE DESTINY & DIVINE FLOW. Week 26 - SEMINAR #5. Anandamaya Kosha. Wisdom from Indigenous Cultures and Ancient Societies. 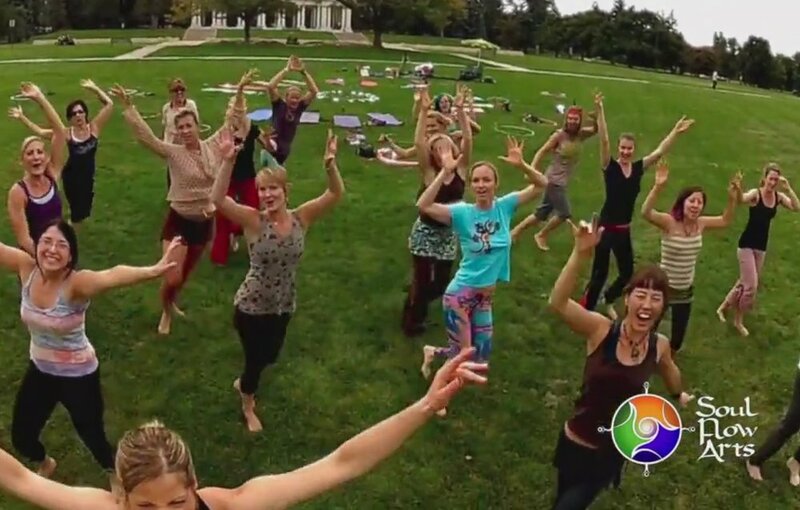 The Role of Synchronicity, Spirit, Trust, and Community. Week 27 - Group Coaching, Mastermind, & Integration Call #9. Week 33 - Group Coaching, Mastermind, & Integration Call #11. This retreat has a limited number of spots, so be sure to register early! Also, while this program may be healing and therapeutic in nature, it should not be mistaken for therapy. Lastly, we reserve the right to cancel this event or make appropriate changes to the format, themes, or topics for any reason. Dr. Jinju, PhD, RYT, embraces the power of dance, flow arts, and yoga as portals for somatic healing and personal transformation. 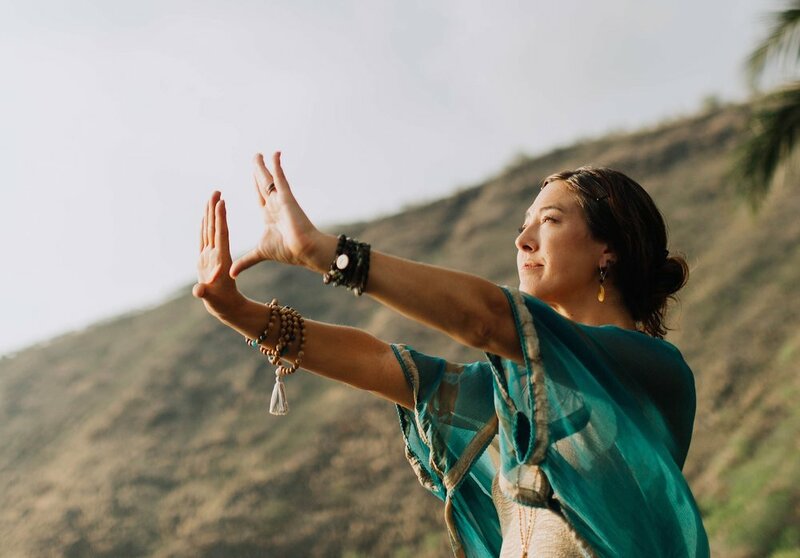 Featured in Elle Magazine after her successful debut at Wanderlust 2016, Dr. Dasalla is on a mission to share the medicine of “flow” and inspire the awakening, honoring, and celebration of the sacred feminine fire and wisdom within us all. 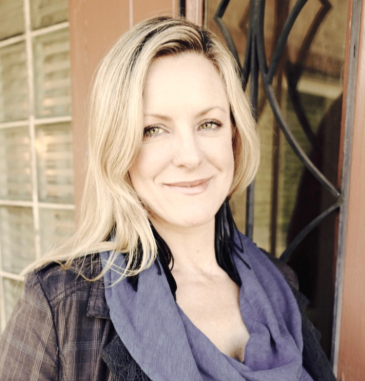 With a doctorate in neuroscience and deep reverence for ancient wisdom teachings, Jinju offers truly unique perspectives for personal growth that harmonize science, art, and soul. Jinju co-founded Soul Flow Alchemy Institute (SFAI) with her husband, Nova Dasalla, as a platform for training and educating health professionals, individuals, and organizations on the neurological and psycho-spiritual benefits of embodied play. As the visionary leader of transformational Soul Flow Retreats, trainings, and author of upcoming book, Beauty that Transforms, her vision is of a world that remembers how simple and sweet healing can be. She holds emotional attunement as the foundation of all flow practices and believes, to love is to flow. 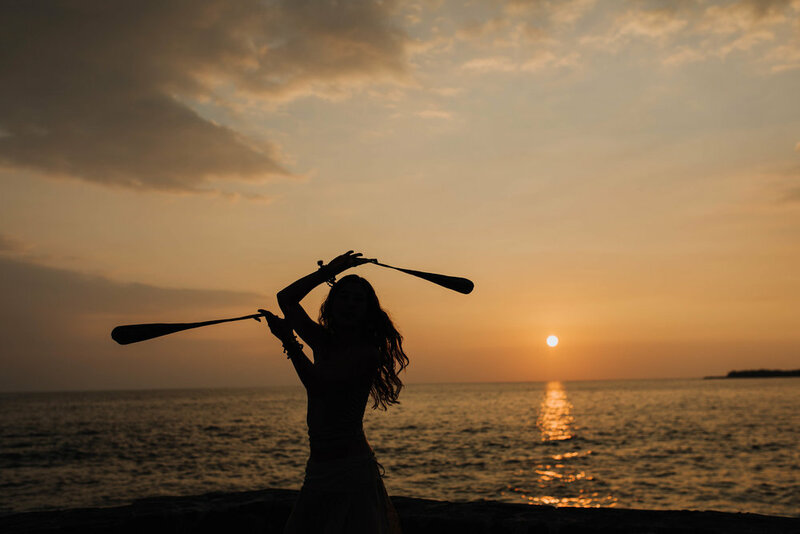 Her classes, workshops and coaching journeys consistently call forth elements of play, possibility, and purpose to ultimately awaken one's inner fire and innate wisdom. Since becoming a mother in 2015, Jinju is more inspired than ever by the miracles of Life and the reminders her little one brings on the true meaning of Flow. Prior to her education at the University of Bridgeport, Dr. Ivory worked with small businesses and corporations following the completion of her Bachelor's Degree in International Business and Communication from the University of Denver. She prides herself on creating an environment where the patient feels heard and where the doctor and patient embark together on a journey of self discovery, healing, and happiness. Her experience in business has offered her a unique understanding of the time and energy demands placed on people; and it has given her a deeper sense of compassion in finding realistic ways to obtain a balanced lifestyle. She is a PhD, Jyotisha Life Insight™ Coach, professional life mentor, and expert in self-development. Angela is a Certified Nutrition Therapist and Certified Somatic Mind and Body Therapist, and a Licensed Massage Therapist (Trained in Sports Massage, Neuromuscular Therapy, Lymphatic- Detox Massage, Reflexology and Reiki). She is empathic, intuitive, clairvoyant, and a spiritual conduit to help channel information, insights, and or speak to what may be holding back or limiting the individual, allowing a gentle clearing to take place. Since a young age, Angela has been intrigued about the body’s physiology and the integration of our mind and spirit and the role it plays in our daily lives. Always a scholar, her love of learning, to engage and facilitate has led her to a fulfilling practice that empowers and enables her to do what she loves. She provides a sacred place and space where you can be heard, where you become more engaged and present to what is currently active in your life. She provides support and guidance in areas that no longer serve you and suggests possible steps you can take today that will provide liberation, wholeness and love within your being and life..